Podcast: What Would You Do If You Had Your Very Own Film Festival?!? Here is our last part of Podcast #21 of the ‘Multi-Media Men‘. We decided to something different and fun with this segment. We all pitched an idea to a fake investor to start our very own film festival. We had to discuss the theme of the fest, what would be shows, pricing, how long the fest would last, and other fun details. What we came up with was quite hilarious. Hell, one guy wants a weekly Nic Cage film festival. I’d buy that for a dollar. 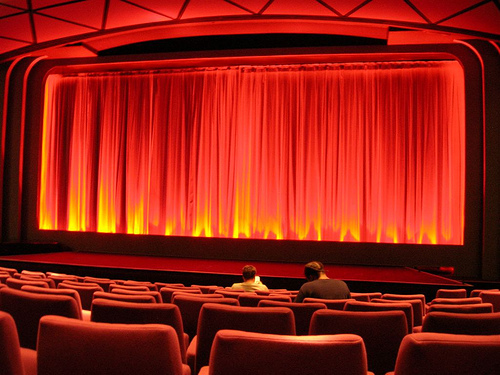 So enjoy the suggestions for our film festivals and let us know which one you would attend. And please, let us also know if you have any ideas for a movie festival. You never know, we might just sponsor your idea. This entry was posted on Thursday, January 30th, 2014 at 10:59 am	and is filed under Film, News, Podcast. You can follow any responses to this entry through the RSS 2.0 feed. You can skip to the end and leave a response. Pinging is currently not allowed. « ‘Serenity’ Takes Flight With New Comic Book!!! Tell me what I need to know, Ben. You need to know... if Shaw can catch.